As my husband and I are going through our second full watch of Star Trek as a couple, I thought it would be fun to report on the highlights along the way. So I decided to copy the same format as Charlene. See her favorite episodes of Voyager Season Four. Season four, when Kes has departed and Seven comes on board. 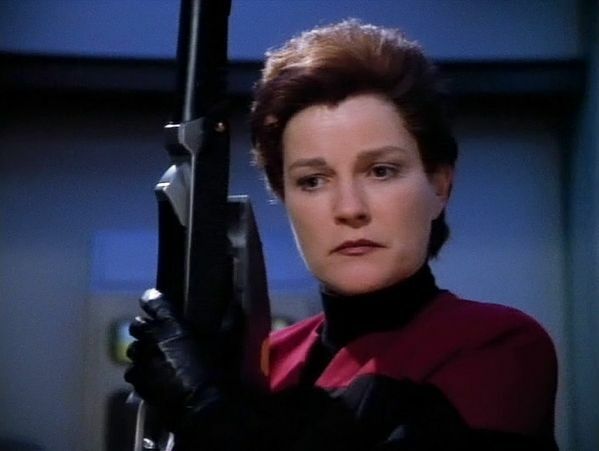 This is also the season of what I have long proclaimed to be the best episodes of Voyager, but stay tuned to see how my feelings have changed a little. Also, while the show is probably stronger this season than in the previous, thanks to DS9 really getting good I started losing interest and found less episodes from this season of Voyager standing out in my mind. I’m not super crazy about everything in this episode, mostly how the dialect of the people carries over in a different way than it normally would with the universal translator, BUT the ending of the episode is one of those whoa moments, especially since I had completely forgotten the ending of this one. While many of the episodes from season four blur together in my mind, this one does stand out. 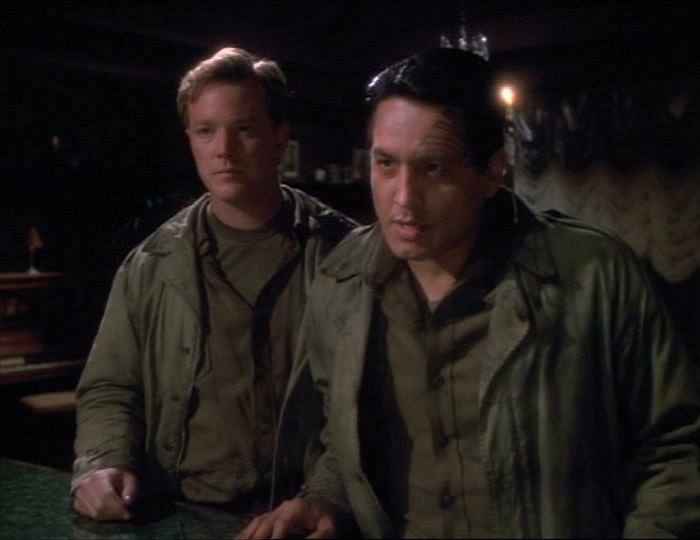 I’m kind of a sucker for episodes involving dreams, and in this episode an alien species poses a great threat to Voyager through their nightmares. This is definitely a very thought-provoking episode that makes you think of how we view history with our preconceived biases. 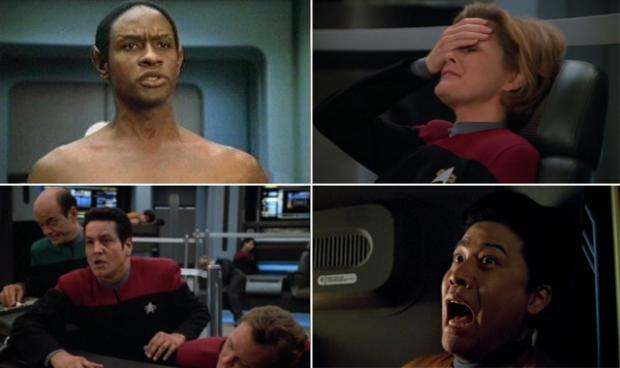 These used to be among my favorite episodes of all of Voyager, but aren’t even my favorite of the season this go-around. I think most of the tension was gone for me during this rewatch, and I didn’t remember the villain being the way he was, and I found him underwhelming this go-around. I think I was a little more engaged in part one, but by part two I was kind of over it. Of course, it probably didn’t help that there were several days between my viewing of part one and part two. Also, I think one of my favorite things about this episode this time was the friendship between Tuvok and Seven, which sadly we don’t get to see portrayed in quite the same light again. 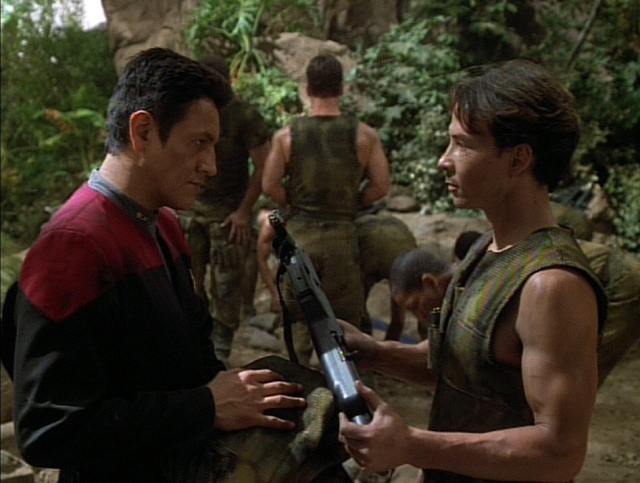 Like how I’m a sucker for dream episodes, I’m also a sucker for anything where we see our crew (in any Trek series) in another time period. In this two-parter, most of the crew is forced into a WWII themed holosuite program by an alien species who thrives on hunting their enemies. 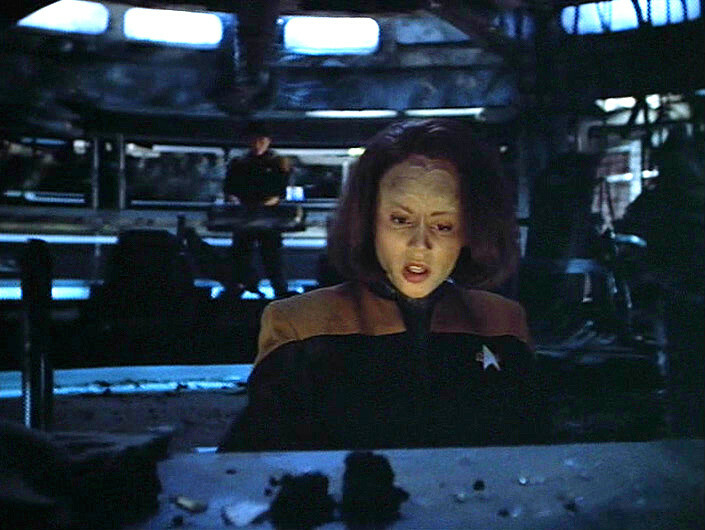 What are your favorite episodes of Voyager season four? This was a good season for the most part. It or season 5 probably my favorite season of the show. I’d include Scorpion, The Omega Directive, and Scientific Method along with most of these.